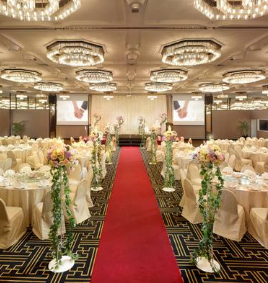 Concorde Hotel Singapore's wedding packages will have it all covered for you, to ensure that your once-in-a-lifetime dream comes true. Leave it to our dedicated and experienced wedding planners to make your special day memorable for you and your guests. Our 4.5m high ceiling pillarless Concorde ballroom can host up to 44 tables and is the perfect venue for whichever event you have planned. We have hosted occasions for countless guests, ranging from large-scale weddings to intimate receptions. 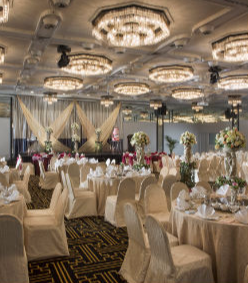 To learn more about our wedding packages or to customise your own, please contact our Catering Sales Team at +65 6739 8338. Alternatively, you can also email us at cateringsales.chs@concorde.net.